Another national food holiday; another opportunity for free grub. September 16 is National Guacamole Day, and Wholly Guacamole (bonus points for excellent pun work) is offering a chance to load up on guac gratis. 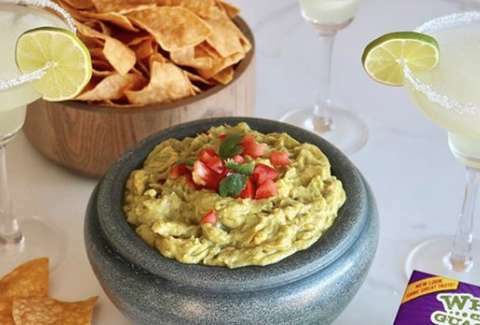 Anytime on Sunday the 16th, head to EatWholly.com to find a coupon for free guacamole. The supplies will be limited, but it's not clear exactly how limited availability will be. So, you're probably best off getting after a coupon early in the day. The coupon will be for any size of Wholly Guacamole that you can find at the store. On your next run for frozen pizzas and TP, pick up that sweet, free guacamole with your coupon. (Ask your parents if you're confused about what a coupon is, they used to spend hours cutting them out of the paper.) (A paper is kind of like a website that was set on the doorstep every morning.) If you've never seen Wholly at your local store, its site has a locator so you can track down the nearest spot that's stocking what baby boomers lovingly refer to as Millennial Sauce. That's it. Just drop the coupon in your pocket until the next time you're headed to the grocery store, and then enjoy your day with a side of free guacamole.